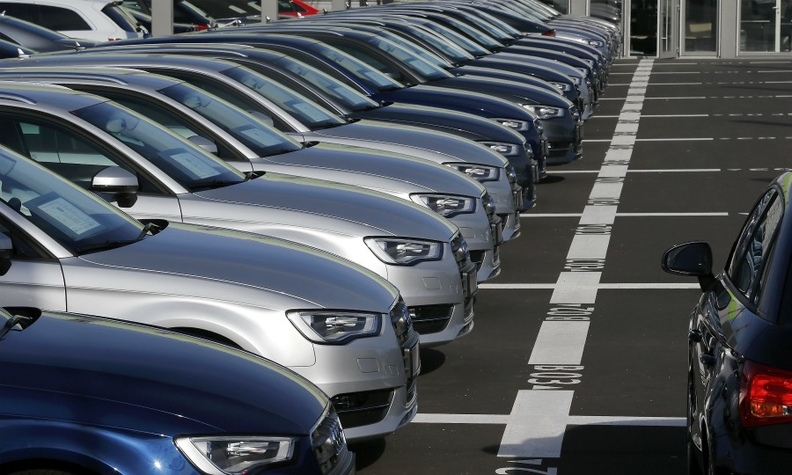 MUNICH -- Registrations in Germany fell 1.4 percent in January even as sales of diesel cars started to recover. New-car sales were 265,702 for the month, according to data released Monday by the KBA Motor Transport Authority. Sales of diesel cars increased 2.1 percent, giving the powertrain a 34.5 percent market share. Gasoline car sales dropped by 8.1 percent for a 57.6 percent share. The VDIK importers association said recovering demand from fleet buyers and wider availability of diesel cars that comply with new emissions standards helped diesel sales to rebound. Germany's automakers have been offering incentives to encourage owners to swap older, polluting diesel cars for new models. Volkswagen said last month that it will expand trade-in incentives to owners of older vehicles beyond the 15 most heavily polluted cities across the whole of Germany. Sales to business fleets rose 1.6 percent for a 66.8 percent market share in January while sales to private customers fell 7 percent for a 33.1 percent share, according to KBA data. Sales of full-electric cars grew 68 percent for a 1.7 percent share. Hybrid car sales rose 66 percent for a 5.7 percent share, although sales of plug-in hybrids plunged 26 percent for a 0.8 percent share as the effects of the new WLTP emissions-testing regime continued to weigh on their availability. Porsche's registrations plunged 54 percent, Nissan's volume fell 40 percent drop and Honda was down 35 percent. Alfa Romeo sales declined by 32 percent. Other German brands had a bad sales month in addition to Porsche. BMW's volume fell 7.5 percent, Opel was down 6.6 percent, VW brand was down 6.5 percent and Mercedes-Benz registrations dropped 4.3 percent. Among the winners, Tesla rose 118 percent, Volvo gained 40 percent and Ford registrations were up 15 percent.